Blue Lace Agate is a gentle calming stone, which encourages tranquillity and smooths the sharp edges of communication especially in difficult times. Blue Lace Agate can enhance public speaking and improve the art of discussion. PEACE LOVE CRYSTALS Blue Lace Agate Tumbled Stones are approximately 20mm-25mm in size. 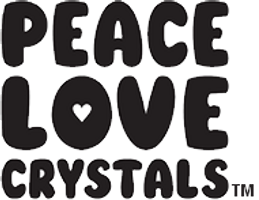 All orders receive a free copy of our "Crystals and Minerals Metaphysical Properties Guide" by PEACE LOVE CRYSTALS*. Image shown is an example of our tumbled stones natural variation. Please take note of the size described as images are close-ups so you can see the quality we offer. You will receive one tumbled stone, if you want more simply increase the number required. Blue Lace Agate is a banded chalcedony, a mineral of the quartz group. Agates have a trigonal crystal structure and a hardness of 7. This crystal helped me to feel calmer and more at peace. Exceptional quality, shipped quickly too! Gorgeous stone - hoping it will help with delivering a presentation!